In this book David E. Gray introduces readers to the essential aspects of the research process, covering topics ranging from best approaches to the design of appropriate research tools, to issues of data collection, analysis, and writing up. The author skilfully explains complex and daunting concepts in an unpretentious manner that simultaneously demystifies the research process and illuminates the complexity and messiness of actual research, writes Christina Dobson. This piece originally appeared on LSE Review of Books and is reposted with permission. Doing Research in the Real World (3rd edition). David E. Gray. Sage Publications. December 2013. 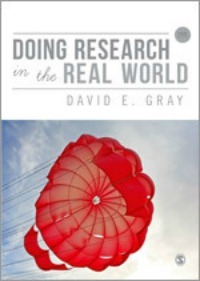 In Doing Research in the Real World: Third Edition, David E. Gray (Professor of Leadership and Organisational Behaviour at the University of Greenwich) draws on his years of experience in undertaking and supervising research, as well as teaching research methods, to produce a comprehensive and accessible guide to conducting research. 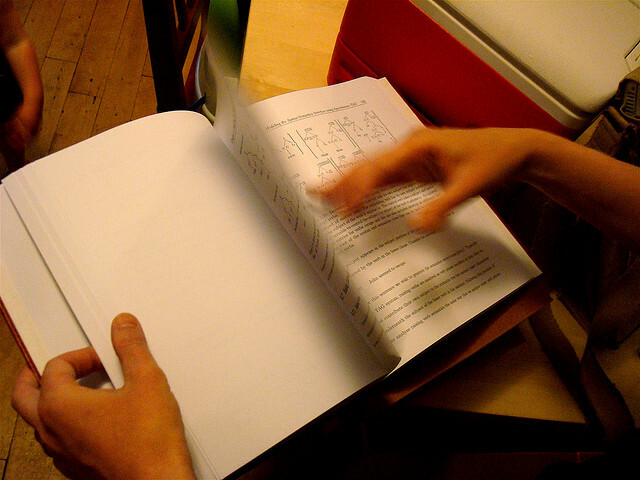 The book provides an introduction to the world of research, taking the reader beyond simple instruction and illustrating the undertaking and application of research in the real world.The text has a logical structure, beginning with epistemology and research principles, before moving on to consider research methodologies, including chapters on evaluation and action research, in addition to the standard qualitative and quantitative sections. The third section discusses data collection methods, (reiterating the distinction between methodology and method) covering a range of approaches, and the final section looking at analysis and result dissemination, including preparing for a viva. In this edition of the popular textbook there are five additional chapters: sampling strategies; ethnography and participant observation; focus groups; secondary analysis; and getting started using SPSS. The chapter on sampling strategy is a valuable addition, as novice researchers can sometimes overlook the importance of sampling decisions. It provides in depth explanations of numerous sampling approaches, as well as giving sample size equations. Chapter 17, on ethnography and participant observation, tackles some of the key issues related to this method, including gatekeepers, the ‘emic’ and the ‘etic’, reciprocity, and ‘going native’, as well as contextualising this research method historically. Following on from this is a chapter on focus groups, which is well executed, particularly the thoughtful consideration of the different types of ‘problematic’ participants (e.g. ‘the heckler’, ‘the chatterbox’, ‘the mute’) and the suggested approaches to dealing with such participants. Another new addition is the chapter on secondary data analysis, which discusses the advantages and disadvantages of secondary analysis of quantitative and, refreshingly, qualitative data, as well as signposting the reader to websites through which they can access such datasets. The final new chapter in this third edition is an introduction to the statistical software package, SPSS. Gray gives a basic introduction to the software, familiarising the reader with the software’s interface and functions, which is aided by the use of screen shots. This chapter is really aimed at those encountering SPSS for the first time however, for those who wish to further their use of the software, Gray identifies a number of texts which can support the researcher in undertaking specific analyses. Although this third edition boasts five new chapters, it is the online resources, particularly the author videos, which are the real triumph. There are introductory videos in which Gray covers the ‘take home messages’ most relevant to that chapter, and there are also links to papers, book chapters and YouTube videos which focus on specific themes in greater detail. This content is available to all who purchase the book however, you are also able to purchase 12 months access to the interactive e-book, alongside the printed text, useful if fieldwork demands a lot of travel. A lot of time and thought has been invested in the format of this book, from the online resources and author videos, to the structure of the text as well. Chapter objectives, top tips, and summaries help the reader to consolidate their learning throughout, and the real life examples simultaneously demystify the research process and illuminate the complexity and messiness of actual research.The text provides a lot of practical, adaptable information, which will further support inexperienced researchers, i.e. through the inclusion of an example consent form, gantt chart, and links to literature databases by discipline. Gray skilfully explains complex and daunting concepts, such as the philosophy of research, in an unpretentious manner, and, as the book progresses, builds the readers confidence in their own knowledge and abilities. The interactive nature of the book and its use of videos is a real strength, making it easier to engage with and, along with the quality of the content, appealing. Although the text provides advice about the PhD viva, this book is probably more suited to undergraduate and masters students, because of the breadth of topics covered. That is not to say the book holds no value for a PhD student, but that it would be better used as a springboard to further texts, as well as a means of understanding and contextualising the methods and results of others’ research.Doing Research in the Real World would also support early career researchers as a resource for teaching, as not only does it offer a clear and concise introduction to different approaches, which would work well with undergraduate teaching, it also provides online resources for lecturers. This book is a valuable resource for those undertaking research in the social sciences and therefore deserves a place on the bookshelves of undergraduates and post graduates alike, as well as those involved in their teaching. Christina Dobson is a PhD student in the School of Medicine, Pharmacy and Health at Durham University, for which she is looking at the effect of social support on time to presentation among patients with colorectal or respiratory symptoms. Christina has been involved in a number of studies within the department, prior to commencing her PhD, which have largely focused on the early diagnosis of cancer.Read more reviews by Christina. This is a syndicated post. Read the original at Impact of Social Sciences 2014-02-16. ← Impact Round-Up 15th February: In gratitude to Stuart Hall, #publishperish14 and the fallacy of web objectivity.